Sugaring is one of the best techniques for removing unwanted hair. It has a large number of advantages, among which are the fact that it is almost painless, the absence of ingrown hairs and the long duration of the effect. However, a considerable number of women are ready to refuse sugaring as they get skin rashes after it. Why does a histamine reaction occur? The histamine reaction is a natural response of the body to microdamaging of the skin and removing the lanugo hairs. Body hair, albeit not in such large quantities, was left to us by our ancestors and performs a protective function. Therefore, hair removal can trigger the release of histamine. It signal the onset of the inflammatory process in the body, or poisoning with toxins. During an allergic reaction, white blood cells start moving to protect the body from infections in the places of former hair bulbs. 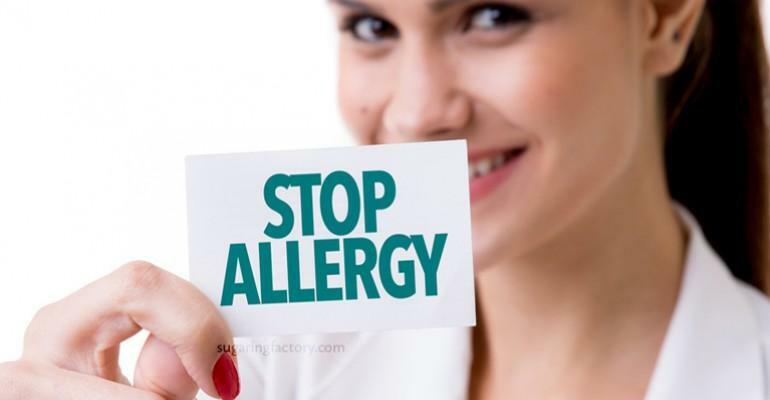 In addition, an allergy can be caused by the increased sensitivity of the immune system to components of poor-quality sugar paste. It manifests itself in the form of small reddening and has symptoms similar to urticaria. • excessive sweating. In the first hours and days after epilation, avoid going to a beach, gym, tanning salon, as all this provokes sweating. Although in summer or in stressful situation it's not possible t avoid sweating. • multiple, excessive processing of one and the same area. There are many reasons for the occurrence of histamine reaction, but many of them can be minimized.